Key features that your cloud storage service should have.–PC Pitstop. 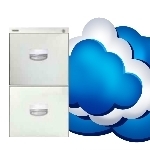 In the world of cloud storage services, there are two basic types: backup and sync. Backup services are designed to provide a copy of your files in case something happens to your computer and serves as a digital archive. As such, most services offer full system back up, not just files, so they’re the solution for restoring your computer should it fail. Backup services typically allow one computer to be backed up, but you can view those files from mobile devices. Backup services are fairly low cost, with unlimited storage options starting around $60 annually. Most backup services store files on their own servers, but some backup services, like CrashPlan and PogoPlug Cloud, let you store your files on a friend or family member’s computer. There are also standalone hard drives for backup that are Internet-connected, including the Western Digital My Cloud (4TB drive: $219 on Amazon) and Seagate Central (4TB: $199 on Amazon). Both of these backup options also let you access your files remotely and share folders and files with family and friends. They provide a personal cloud sharing service. Sync services also store copies of your files on their servers. However, sync services are designed to work across multiple computers. Any computer linked to an account has access to all of the files, and changes to files are automatically synced across all of your computers. Sync services focus more on files you’re actively using, rather than serving as an archive. Services often only backup files in a designated folder and its subfolders, SugarSync being a notable exception. Some sync services, like Google Drive, Dropbox, SugarSync and Microsoft’s OneDrive, will let you selectively sync folders, so you aren’t storing copies of every file on every computer. Data storage is more costly for sync services than for backup services, with no major services offering unlimited storage. All Most provide a limited amount of free storage, usually 2GB or 5GB. So how do these major services compare?